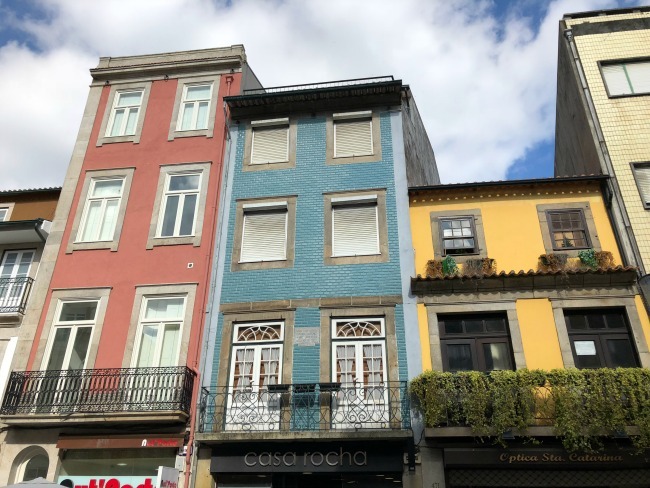 Home » Other » Porto Exploring: Stock Exchange Palace, Azulejo Art, Rua de Santa Catarina and More! 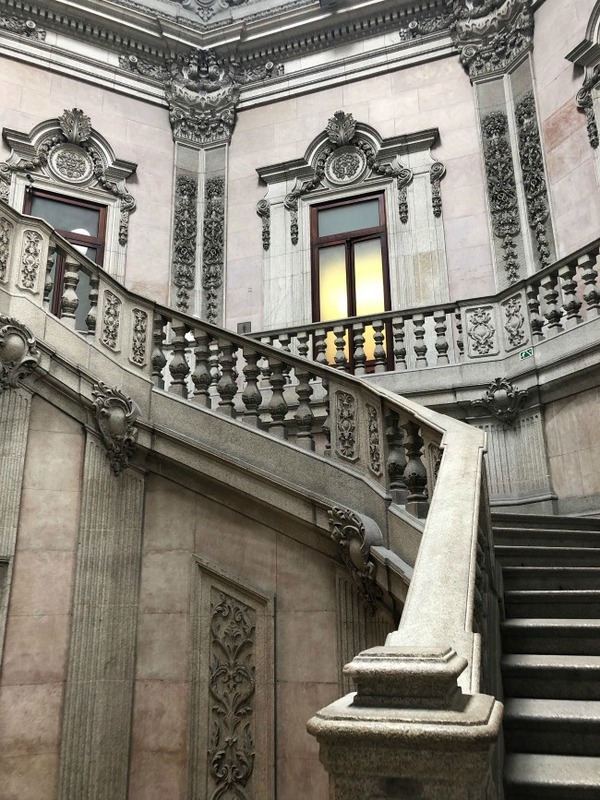 The Stock Exchange Palace (also known as the Palacio da Bolsa) was one of the most surprising buildings I have ever been in. You can only enter on a tour, but they run tours in a whole host of languages every day. I recommend booking in advance as they do book up. The exteriors were completed in the 1850s, but the interiors continues to be decorated until the start of the 20th century. 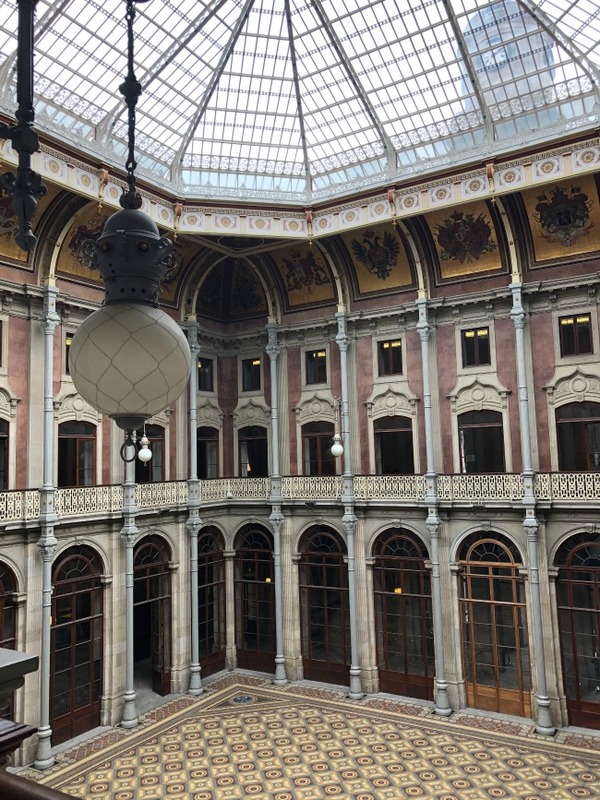 It’s hard to describe just how stunning this building is, and every room presented a different type of grandeur and richness. 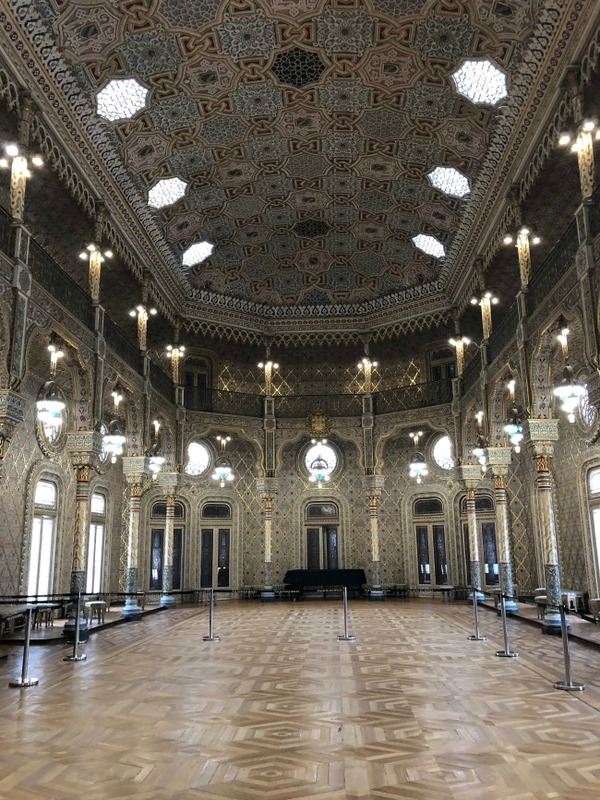 There was everything from intricate wood and plasterwork, sculptures, chandeliers, tiles and carvings. 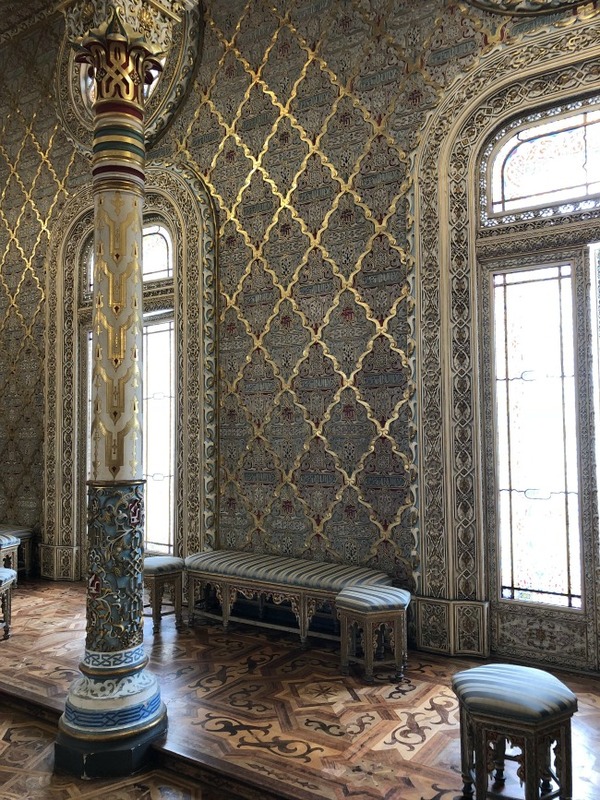 The stuccoed Moorish Revival room was probably the standout, and you could instantly see why that room was used to negotiate trade deals – you would definitely have the upper hand! 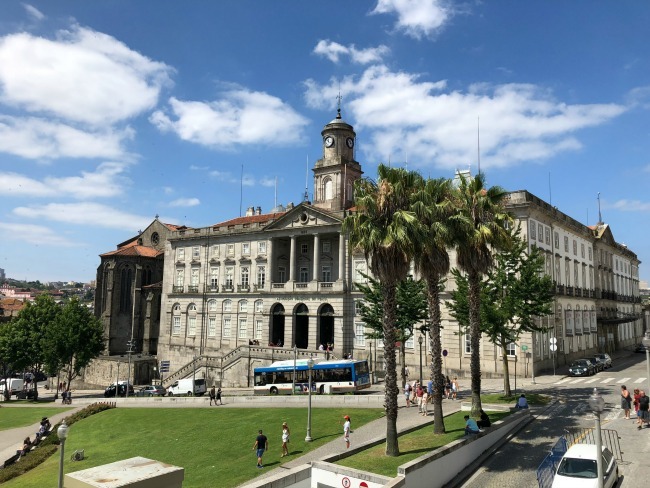 My guide was incredibly knowledgeable and the tour not only taught me a lot about the building but about Portuguese history more generally. 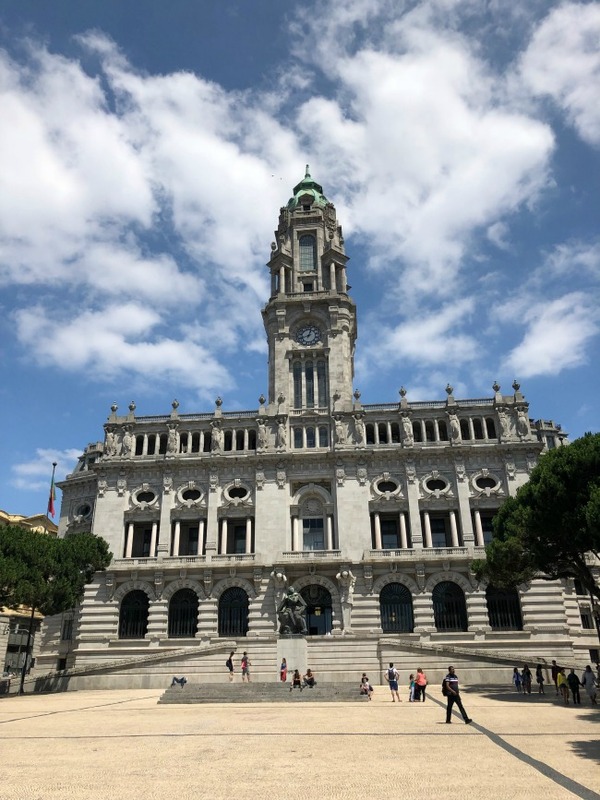 It’s a hard call, but visiting the Stock Exchange Palace was quite possibly the highlight of my time in Portugal! 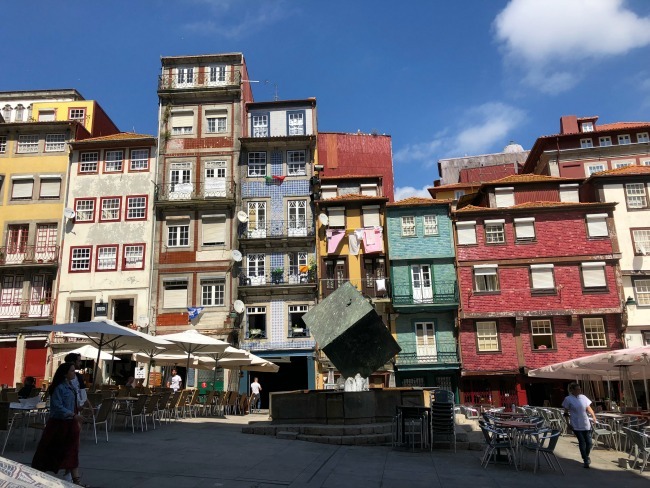 A wander down Rua de Santa Caterina is a must, even if like me you’re not there do to any shopping. 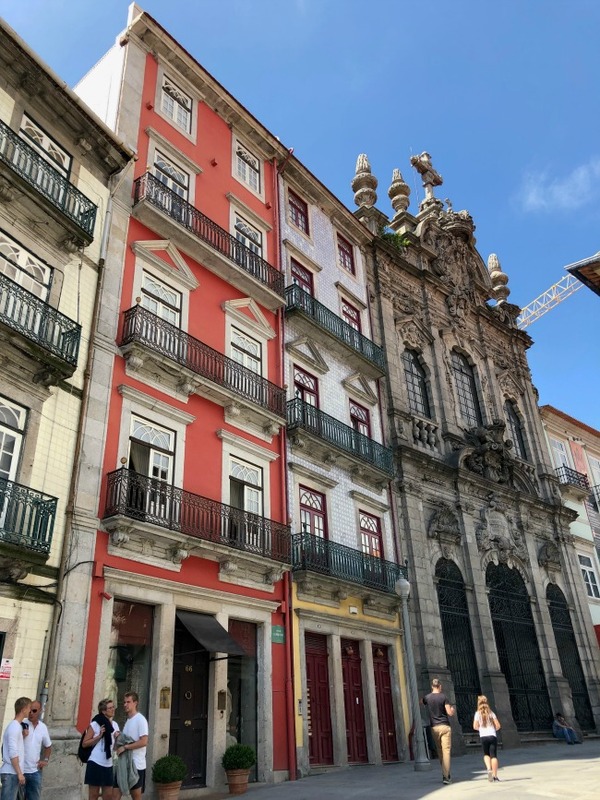 It is a pedestrian street that is lined with incredibly beautiful buildings, including places like the stunning Majestic Café. Whilst there are plenty of shops, there are also lots of cafes, bars, street performers, stalls, you name it. It’s a lively, vibrant street that is worth a wander down. 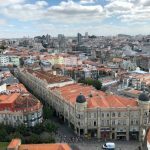 It will also take you almost right past the Mercado do Bolhao, which is the historic two storey food market. Unfortunately it was being redeveloped while I was there but had been relocated into the bottom level of a nearby shopping centre, which was still worth a visit! 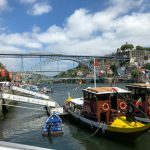 All the narrow streets that wind through the old parts of Porto are also worth exploring. Pop your map away and just go for a wander up and down the streets (and hills!). 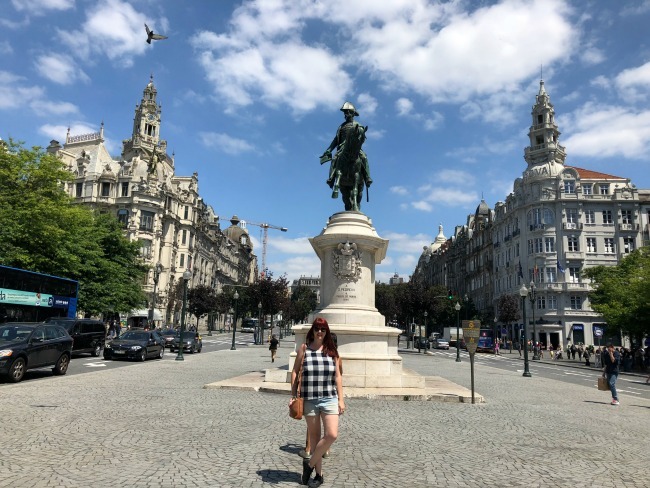 You can’t really get lost either, I always seemed to end up back in along the riverfront in Riberia or at the Infante D. Henrique Square, in front of the Stock Exchange Palace! 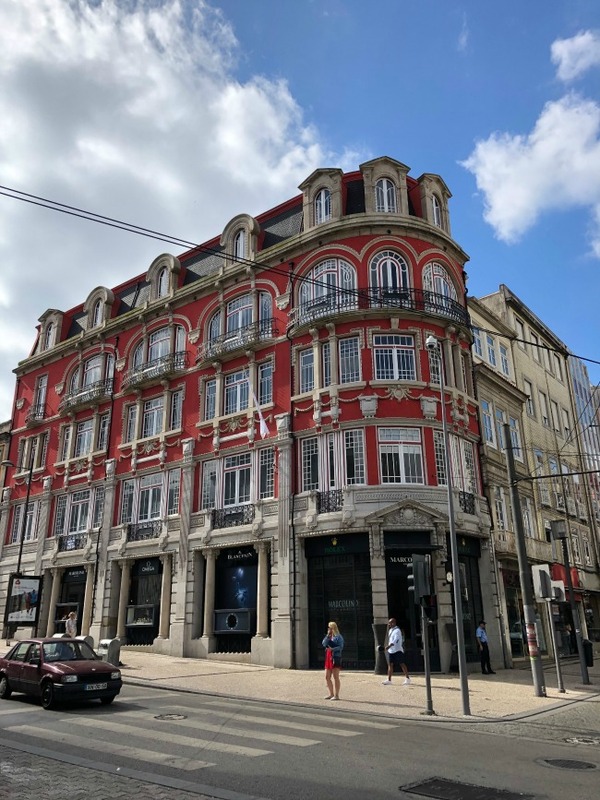 The Avenida dos Alidaos is a wide, impressive avenue lined with some of the most beautiful buildings in Porto. 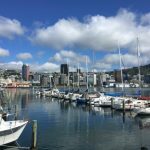 The surrounding streets are home to some of the poshiest shops and businesses in the city, and it’s an incredible area to go for a meander through. 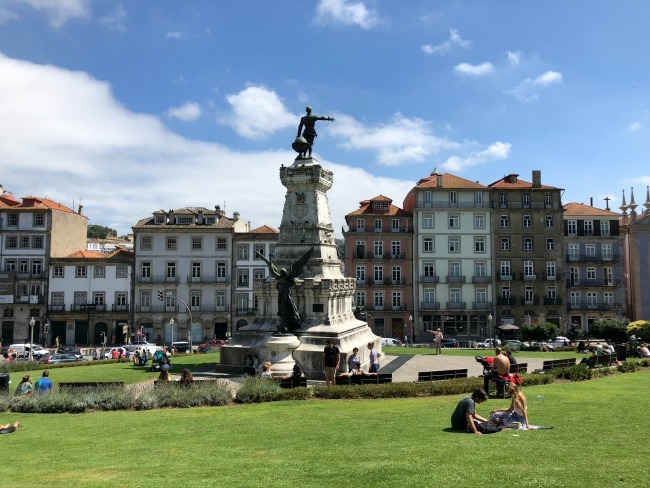 The avenue is lined with monuments, statues and has the Church of Satissima Trindade at one end. I do love ornate architecture, so a wander through here was right up my alley! 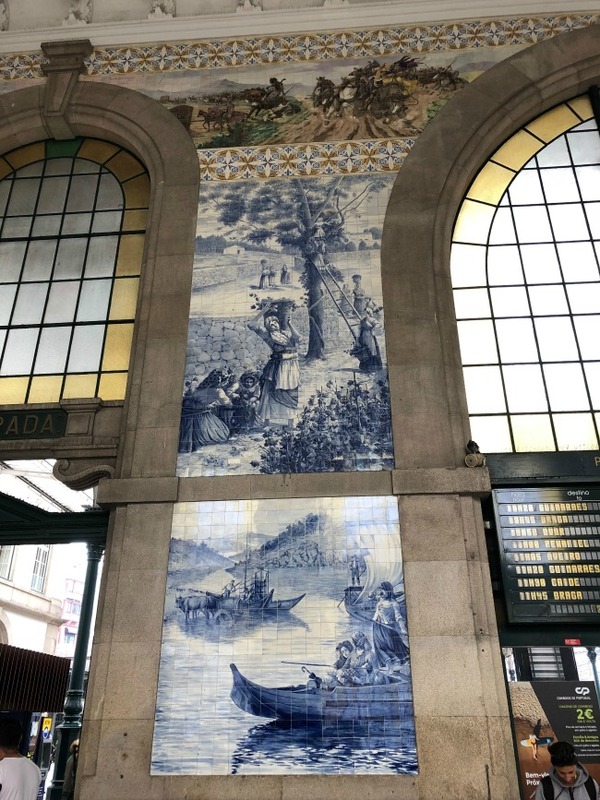 One of the things I quickly fell in love with when I started exploring Porto was the azulejo tiles used to decorate buildings all throughout the city. In fact, I started off trying to photograph all the different colours and patterns of tiles I came across but realised pretty quickly that I may never see anything else if I kept that up! They could be found on buildings throughout the city which was so striking, but there were a couple of buildings (including the churches I shared last post!) where the usage was particularly impressive. 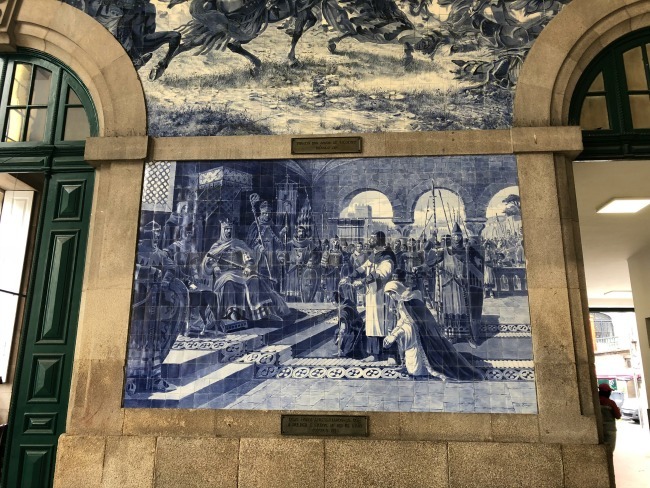 Sao Bento Train Station was one such building, with the main building lined with over 20,000 hand painted tiles which depict everything from daily life to transportation. I spent ages just wandering around taking in all the murals, and you don’t even need a train ticket to see them! 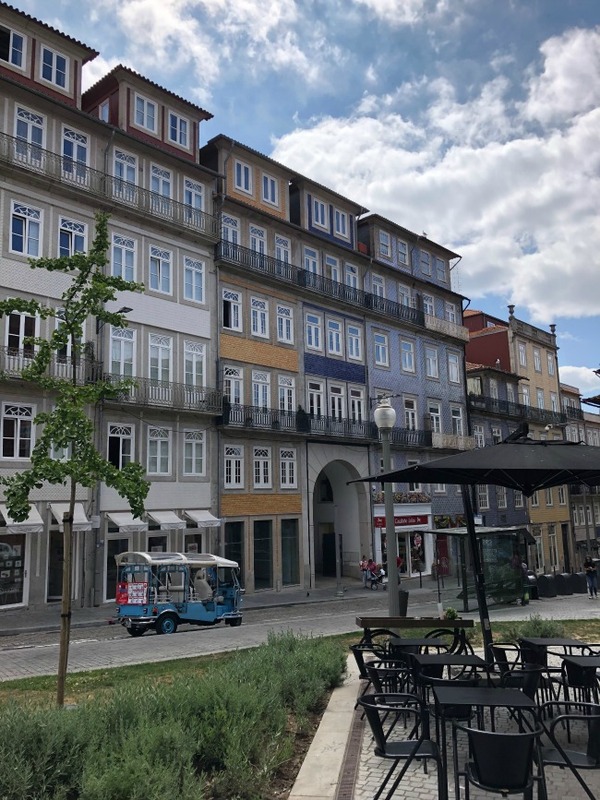 I hope you liked my Porto Exploring posts! 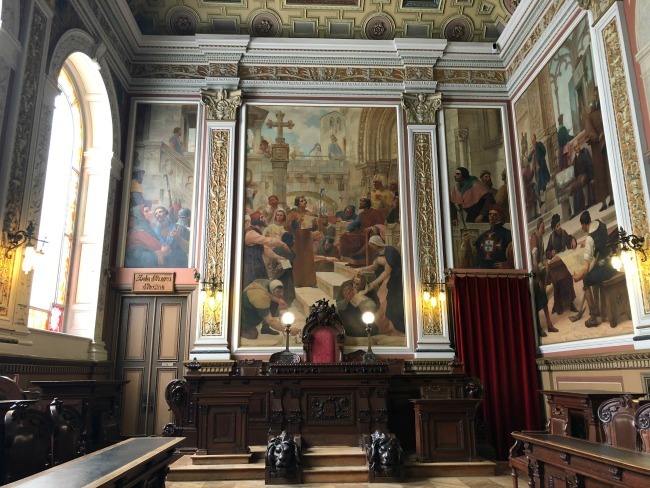 If you’re planning a trip please add the Stock Exchange Palace to your to-do list!